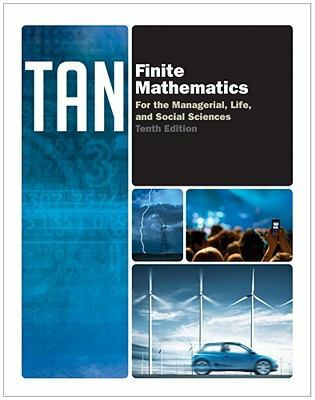 Market-leading FINITE MATHEMATICS FOR THE MANAGERIAL, LIFE, AND SOCIAL SCIENCES, Tenth Edition, educates by application and real-world examples. A traditional book with a modern feel, the text pairs pioneering technology with rock-solid theory, delivering matchless flexibility to both traditional and modern practitioners. The Tenth Edition, as with previous editions, is suitable for both majors and non-majors alike. The text abounds with helpful examples, exercises, applications, and features to motivate further exploration. Portfolio profiles highlight the way actual professionals use math in their day-to-day business. Newly enhanced technology sections provide step-by-step instructions for solving examples and exercises in Excel 2010. Supported by a powerful array of supplements including Enhanced WebAssign, the new Tenth Edition enables students to make full use of their study time and maximize their chances of success in class.